When the world of Bangla novels was totally failing to attract the readership, the appearance of Humayun Ahmed (1948 – 2012) was announced as a great event. 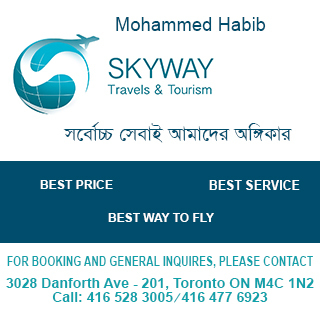 After the ever-popular writer Saratchandra Chattopadhyay (1876-1938), Humayun Ahmed is the second name who is worthy to be uttered in the same high tone in respect of popularity. Humayun started his authorial life with Nondito Naroke (In Blissful Hell) in 1973 and during the last three decades he has produced no less than one hundred and fifty novels. Along with his other identities like a professor of Chemistry in Dhaka University (later on he gave up this job for his huge involvement in literature, cinema and television drama) he has shown multifarious achievement in writing novels only. Humayun Ahmed’s pen is successful in science fiction and supernatural stories also. Immediately after Nondito Naroke, Humayun’s Shankhaneel Karagar (Flowers of Flame) was published in the same year, though the later one was the first novel written by Humayun. These two books brought him much acquaintance among the reading public of Bangla novels. During the first half of the seventies he produced some more novels. Later on he left the country to obtain a PhD and after his return, his novels began to come out one after another. Though he has been awarded with a good number of awards like Bangla Academy Award, most of the critics of the country consider him less as a litterateur worthy to mention. This write-up intends to analyse some of his novels selected at random to identify the qualities that make Humayun Ahmed prominent. Humayun was able to draw his readership from his early publication because of their novelty. The urban class people are the main focus in his novels. He always tells his story in a lucid and easily understandable language. Any meticulous reader of him may find a sort of semblance between his early and recent novels. Mystery and humour were the essential components of his early novels that we may discover even in a later one like Shuvro (2000). He has not turned off much even regarding the technique of presentation of his stories. The endurance of these elements has been described as the main flaw in his novels. We may observe that whenever he has tried to come out of that trend, his popularity faces a peril. The story of Nondito Naroke evolves round a middle class family of Dhaka. The whole story is narrated from the point of view of Khoka, the narrator of the novel. Khoka (or Humayun) is only one year junior to his mad sister Rabeya. The other members of the family are his brother Montu and a sister Runu of thirteen years old. From the very beginning of the novel the obscene talks of Rabeya begin to attract the readers. Even the talks and assumption of behaviour of their parents during night were also the novelties for the readership of Bangladesh. The readers began to like Khoka and their family because they themselves are of the same milieu. The story reaches the climax when we know that unmarried Rabeya is carrying. But unfortunately she meets death after huge miscarriage followed by her father’s quack treatment. When the other member of the family Master Kaka (Sharif Akhand) returns home from the town with a doctor, Montu chops him with a boti. The mishap of killing Sharif Akhand creates a mystery and it gets enhanced when we can know that Montu is Khoka’s stepbrother. The bygone story is: When Montu’s mother could not give birth any child, his father married Khoka’s mother. Later on Montu was born and his mother died at his age of eleven. The incident of Montu draws the sympathy of the readers because Sharif Akhand is the person responsible for Rabeya’s pregnancy. The characters of Humayun Ahmed’s Shankhaneel Karagar do carry similar names along with similar settings, though their age and story are different. Humayun himself told about it in his Nondito Naroke that he had a special fascination to these names. The repetition of names may be observed in Humayun’s later novels also. The characters of Shankhaneel Karagar are a bit older: here Rabeya is thirty one, six year senior to Khoka. But we must agree that creating mystery in social novel, which is an inborn characteristic of Humayun’s novels, has got its inception in his first attempt. With the exposition of Rabeya’s identity as Khoka’s stepsister the story of the novel meets the end. 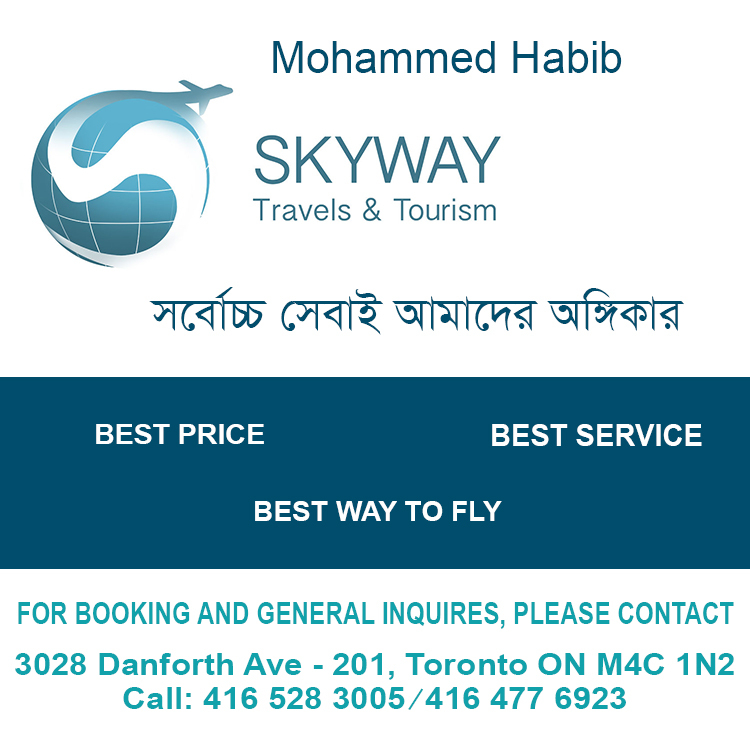 Abid Hossain, who would take Rabeya and her friend for drive, was the original father of Rabeya, the first husband of Khoka and his other siblings’ mother. The inner stories get exposed when in the end of the novel Rabeya writes a letter from Mymensingh, where she takes a job as a superintendent of a school. Any reader observes the detective story element in Humayun’s first novel though he is not a detective storywriter. It is true that such an element in social story was not very unacquainted in Bangla novel: even Rabindranath Tagore’s Gora (1910) may be cited as an example of this trend. We have also observed that mystery in social novels has been a very popular trend of the Latin American and other European fiction of the last decades. Humayun has never gone off this trend: Shuvro is a very recent example of it. Shuvro, the protagonist of the novel, who is a university student of a higher middle class family, learns after his father’s death that their main business is a big brothel. Shuvro’s own identity that he himself is the child of a prostitute, not of the woman whom he knows as his mother, is discovered in the end of the book. Humayun’s another novel Eka Eka (All Alone) was first published in the Eid issue of weekly Bichita 1984. It is a story from 11 pm to 5 am of a middle class family. Tagor, whose granddad is on deathbed, is the narrator of this story. Eka Eka evolves around the activities of surrounding people in such a moment. In this novel the other trait of Humayun i.e. his love for humour which is noticed from his first novel has reached an intolerable degree. During the last hours of a member of the family, this element should not take the upper hand. The manners and action of some of Tagor’s relatives like the eldest uncle, auntie of Moghbazaar, or of the husband of Tagor’s youngest aunt seem quite humourous. Along with the delineation of humourous characters and activities, we have met a good number of idiosyncratic characters in Humayun’s novels also. The presentation of such a behaviour has reached the zenith in Humayun’s Himu series. The protagonist of the novel Poka (The Insects, 1994) is also a good citation of Humayun’s idiosyncratic characters. We may say that idiosyncrasy and humour are intermingled in most of Humayun’s novels. The seriousness of Joyjoyonti (Under the Name of a Musical Mode, 1994) is also shuddered with the touch of humour and we must say that sometimes it proves unnecessary and unexpected. In Kobi (The Poets, 1996) some of the talks and thoughts of Atahar, the protagonist, is simply exaggeration of it. By now the novels of Humayun have begun to experience repetitive elements also: repetition of character and story line. Sometimes the thoughts of the characters and the sentences are also repeated which is no doubt a flaw of any creative writer. Tagor and Babubhai of Eka Eka and Atahar of Kobi have some resemblances, as Biju of Dwoiroth (A Single Combat in Chariots) and Babul of Joyjoyonti are of similar personalities. Professor Ashraf Hossain and his wife Oruna of Dwoiroth may recall professor Nazmul and his wife Panna of Joyjoyonti. Moreover, there are many characters in Humayun’s other novels who resemble Atahar’s father Rashid Ali of Kobi or Osman’s sister Mily of Dure Kothao (Somewhere Far Out). Character like Meera of Suvro is not rare in Humayun’s recent novels. But we must agree in the point that Humayun can create novelty in his fiction even, coming out of all his cliche characters, setting, thoughts, traits and dialogues. 1971, published in the Bichitra Eid issue in 1985, is a worthwhile instance. Though it is short in volume but no doubt it draws the attention of the fiction reading public on our liberation war. The story is set in a very small and remote village of Neelgonja. The rumour goes: some youths of ‘East Bengal Regiment’ have taken shelter in the jungle behind the village; they have snatched away two Pakistani soldiers. Basing this rumour a platoon of Pakistani soldiers come to Neelgonja. The novel abounds all the activities of the Pakistani Army and their collaborator Rajakars – their the deceiving approach to the common people of the village; lustrous attitude towards tender aged girls; contemptuous view to Hindu religion and people etc. All the things occur during the fajor, through the daytime to night. And thus the 1st of May of 1971 of Neelghonja is demonstrated in 1971. It is not a complete novel of the epic episode, but it gives a very heart-felt story about our liberation war. Elements of mystery and information of attractive and unbelievable events are also present in this novel as we observe in Humayun’s other novels also. The other novel of Humayun Ahmed that has taken our august liberation war as its theme is Shyamol Chhaya (The Green Shade, 1973). Though this one is also an incomplete picture of our great fight, but conveys a touchy description of a group of freedom fighter youths in an action. Only five members, who are a part of a larger group who are advancing to attack a group of Pakistani army is the focal subject of the novel. The members of the small group are Abu Zafar Shamsuddin, Hasan Ali, Abdul Mojid, Anis Sabet and Humyun Ahmed himself. In the book Humayun has demonstrated the fickleness and dilemma of the Bangali people during the first months of liberation. The novel deserves some more attention for its technique – in it all the five fighters have played the roles of speakers and ventilated their inner thoughts regarding the war as well as their personal life. In this context it may be commented that whenever Humayun has innovated some new technique for his novels away from his over used presentation he has been able a little to draw his own readers: 1971 and Shyamol Chhaya are two best examples. Dure Kothao is our next consideration of Humayun Ahmed. The protagonist of this novel is Osman who is himself an author. As a rift of their conjugal life Osman’s wife Ranu has got up into a different residence with his child Tagor. There Ranu’s distant sister Apola also resides with them. To meet his son Osman visits Ranu’s house once every week and thus Osman and Apola make a very calm relationship between them. Though Ranu does not have anything like relationship with Osman, she cannot tolerate the nearness of these two persons. Human prejudices and complexities have taken a very minute delineation in this novel. Ranu argues that Osman’s affinity towards writing is more than towards Ranu. But the readers know that the absence of Ranu poses as a great obstacle on the way to Osman’s writing: the moment at the village home Ranu appears Osman’s pen revives its previous flow. Thus Humayun always draws the married separated partners nearer at the end of his novels; a similar example is Dwoirath’s Soma who also returns to her husband Kamal, a man of obnoxious character, as Soma herself evaluates. The next novel that we have incorporated into our discussion is Brihonnola (1989). By now Humayun has started his Missir Ali series and Brihonnola is one of them. In these novels Humayun has presented some mysterious stories that are outwardly inexplicable and at last he has given the hidden explanations behind them. The nutty professor of Psychology of Dhaka University Misir Ali is the explainer of these mysteries. Humayun has proved his skill in narrating this sort of stories: Brihonnola is a well known example. The supernatural story of Brihonnola revolves round Sudhakanta Bhowmick, with whom the narrator of the story get acquainted during his visit on his cousin’s marriage ceremony. On that night Sudhakanta narrates the horror story of his own life. Later on this story reaches to Misir Ali who begins his mission to unveil the mystery and succeeds to detect that Sudhakanta himself is the maker of that unreal story which he manifested to hide a sexual crime of his own life. Thus Misir Ali has become a very popular character to fiction reading public of Bangla literature. Like Misir Ali, Himu is another typical character in Humayun’s many novels. Himu, the barefooted, yellow panjabi man, has been presented as the protagonist of many of Humayun’s novels. And thus Misir Ali and Himu appear in many of Humayun’s new novels with new features. Along with the social novels, the supernatural stories of Misir Ali and Himu are the proofs of undoubtedly Humayun’s tremendous creativity. It is noteworthy to mention that the writer published both Brihonnola and Dwoirath, opposite in trend in the same year and it can really spring admiration in any critic to Humayun Ahmed. Familial and congenial setting is a common feature in Humayun’s novels which have begun to take shape from his debut novels. The setting of Nondito Naroke or Shankhoneel Karagar is not very dissimilar with that of Dwoirath and Joyjoyonti. A family with many siblings are a common picture of the middle class Bangladeshi family, that take true presentation in many of Humayun’s novels. Ratri and Babul of Joyjoyonti make such a very good pair of siblings. Soma of Dwoirath marries Kamal having no alternative before her. One day Soma pays visit to the new family who has got up a nearby rented house. The bedridden wife of the professor springs much sympathy in Soma and thus the story begins to roll on. In a rainy day while Soma and the professor were talking in the library, the sick wife cries out: ‘What’re you doing? What’re you doing? I know what you’re doing, I know’. This shattering utterance shatters the whole life of Soma – people of the nearby houses crowd and the next happenings are nothing different than what is expected in a Bangladeshi society. Every where there are ill talks about Soma and in such a situation she is compelled to marry Kamal, a vulgar and wicked person, at Tangail. The novel opens when Soma is deciding to leave Kamal. Later on though she gets a proposal from the professor for marriage, she cannot accept it because she feels inwardly her ardent but secret love for Kamal and resultantly she returns to him. Every human being is a mystery – Kamal is nothing different from it and so Soma discovers the good in him. A semblance of this idea may be observed in Joyjoyanti also. In that novel Ratri leaves her husband Mamun though Mamun is not devoid of any good sense. Ratri takes the decision when she discovers Mamun’s physical attachment with his secretary, an ugly, black and unattractive woman. But their only baby Tukun poses the thin thread between them. At the end of the novel we feel the goodness of Mamun and thus possibly Humayun wants to show us the fact that every human is a combination of good and bad – no one can be cent percent good or bad. In between Dwoirath and Joyjoyonti, Poka (1993) was written. Poka is also a novel of mystery but here we have experienced a new sort of novelty. Some may argue on its qualities of being a novel, but undoubtedly it is one that attracted a huge number of readers. The main character of the novel Altaf Hossain can understand the utterances of the insects, as the insects also can understand his ones. Moreover the insects give him information and carry his directions out. Thus Poka creates a peculiar world for a reader. Altaf Hossain was brought up in his uncle Bazlur Rahman’s family. He is Bazlur Rahman’s younger sister Minu’s son. When Minu died and her husband came to Bazlur Rahman for help, Bazlur Rahman scolded the husband for his callous behaviour. Later on he became repentant and next morning went to Minu’s house. There he saw the little boy Altaf sitting on the cot having thousands of cockroaches around him. Bazlur explained that he went to collect help for burial leaving Altaf near the dead body and then the cockroaches ate up the dead body. In this way Altaf has had some more senses than any other normal human. The main feature of the novel is that even in this impossible story Humayun has exposed his ability to draw the attention of the readers to his life-like presentation. In 1996 Humayun Ahmed published his voluminous novel Kobi. Another similar sizable novel that he produced later on is Shuvro. Kobi is the story of poet Atahar. The other character who has received the same importance in the novel is Sajjad, another poet. The third poet of the novel is Mojid, though he has taken a very small place in the novel. The other people who have been incorporated are mostly from Atahar and Sajid’s families. The novel has tried to encompass a larger community of our society: Sajid’s family from the higher class; Atahar’s family from the middle class; on the other hand model Kona’s family from the poor class. And thus a large canvass has been made for the novel. The other characters who have significant roles in the story are: one legged Abdullah, artist Mosaddek, Atahar’s sister Mili, Sajid’s sister Nitu etc. If someone calls Kobi a mad house, it will not be very wrong. The two main characters Atahar and Sajid are idiosyncratic. Both of them behave and talk madly which do not comply with normalcy. Their madness touches the peak when one night they two go to Mojid’s maffusil resident and at last the three make a gala dance nakedly on the bank of the river. The other point that any cautious reader will notice in the novel is the abundance of huge irrelevant talks which may be observed as a common feature in Humayun’s novels. These loose and irrelevant talks know no bound as the volume of it is a bit larger. In this regard it may be mentioned that the thinner volumes of Humayun do not lose the integrity that Kobi has. It has failed to touch the completeness that we get in Nondito Naroke or Shankhoneel Karagar or some other shorter novels of Humayun. Now we will look into a Himu book of Humayun: Himur Dwitiyo Prohar (The Second Watch of Himu, 1997). It is mostly based on an unbelievable story. One full moon night when Himu is roaming in the streets of Dhaka he meets a figure having no eyes, nose or ear but a lump of flesh on its stem. In the novel Misir Ali has explained the scene watched by Himu. But the needful that Humayun has done is the insertion of a family story line in Himu’s impossibilities. The people of Himu’s family and his relatives are much interesting to any reader. And the final word about all of them has got a humanistic touch. The episode of Meera can make anyone tearful. Meera’s widower father’s only love under the sun is his daughter. So whenever her marriage reaches to a final settlement he writes anonymous letters with dirty talks about Meera and at last all the marriages break away. So when the relatives of Meera finalize all arrangement to marry her off, they do not inform her father about it. The other characters like the pickpockets Mozammel and Jahirul, Sulaiman and his father can draw the sympathy of the reader. The last novel that we have considered in this article is Shuvro. In the novel Humayun has confronted Shuvro, the protagonist with the question of his birth also. The question emerges from the question of the source of income after his father’s death. He discovers many new things of his life and whatever he discovers goes beyond the sublimity of his life. This haunting pushes him so far away that once it is revealed that Shuvro is not born of his mother, rather his mother was a prostitute with whom his father would make love. 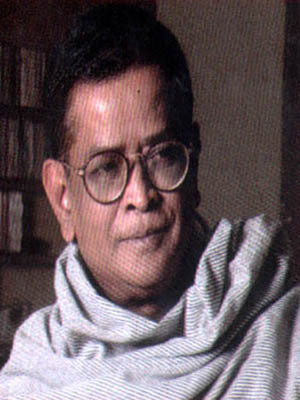 Humayun Ahmed is one of the most prolific writers of the recent decades. He has written hugely and earned popularity in a multiple way. He has created a world of his own. The number of his serious novels is few but everyone will admit that he is the single Bangla writer who has drawn the new generation to books from many other unworthy things.